We are in interesting times for sure. According to the latest CIPA figures for October and November, the camera industry sales are down from 2016 and down even more since 2015 (see chart below). Has the excitement of photography worn off? Are photographers and enthusiasts taking a breather? Has innovation slowed for camera makers? Is the way we do photography changing? I will share my opinions and predictions, and maybe you will agree and maybe not. I have been in this industry for a long time. I know a lot of people in the profession, and much of what I am sharing comes from numerous conversations I have had with colleagues as well as from discussions with industry leaders. I did not do a Camera of the Year wrap up in 2017. Some fellow content providers did, but a lot did not. I think the reason for this is that over the last few years cameras have gotten much better. It wasn’t too long ago that we could find issues with ergonomics, image quality, and lens performance. However, a lot has changed in that regard. 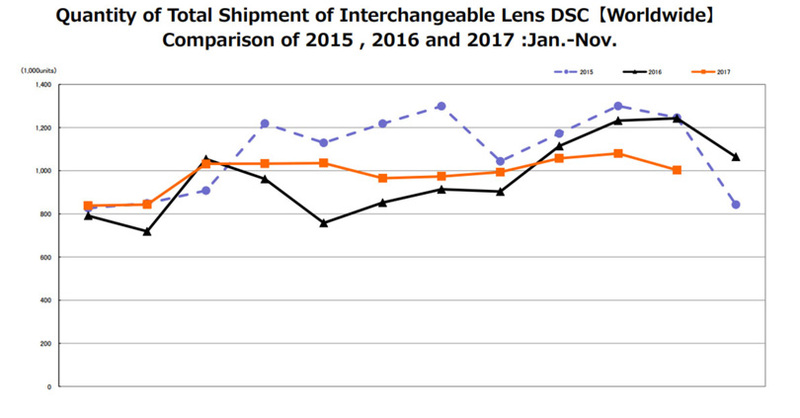 Camera makers have taken time to listen to their customers, and have fine-tuned their cameras, and improved lens design. Cameras are now very well designed with excellent performance characteristics. Adobe, Phase One, and others have considerably improved their post-production software offerings to not only be fast but also offer better image quality. Third-party software like MacPhun, Topaz, OnOne, and others are offering photographers easier post-processing options. You no longer have to be an expert in Photoshop to deliver incredible images. In addition, Pixelmator and Affinity are offering some very innovative and easier to use software, giving us a worthwhile alternative to Photoshop. Predictions are always risky. Mine are based on facts, like sensor roadmaps, as well as on some pretty good guesses on what we will see next. This could be the year we see Nikon and Canon offer a mirrorless pro camera. As we know, Sony has been innovating and introducing new cameras at an unheard of pace. In 2017, they released the A9 and a7r III. The introduction of these two cameras rang the wake-up bell for Canon and Nikon. Sony made it clear that they want to be considered a player in the Press and Sports photographer market. Their a9 offered amazing performance as far as frames per second, auto-focus and a no blackout viewfinder. Add to that a new sensor, and it became quickly evident that Sony had a hot product. The problem was they were short on the glass. So, we will see further enhancements to the a9 this year by firmware and some new long glass. Sony has already announced a 400mm lens to become available later this year. I’m sure they have a few more being worked on. The Sony a7r III ended the year with a lot of attention. Improving on all that was wrong with the a7r II, the new a7r III had a more significant battery, dual card slots, a new finder, faster auto-focus and an excellent capture rate for such a high megapixel camera. So, what’s next? I think we will see three new cameras from Sony this year. The little workhorse, the a6500, will be upgraded to the a6700. (Sony seems to use odd numbers on the “a” series cameras.) The A6700 will have a bigger battery, faster AF, and more rapid frame rates. I’m hoping there may finally be a screen that can be rotated around all the way to make it a good blogging camera. We’ll see a joystick like on the other Sony cameras, a rear focus button, and a better-placed video button. Also, Sony will add a bigger battery as they have done in the a9 and a7r iii. 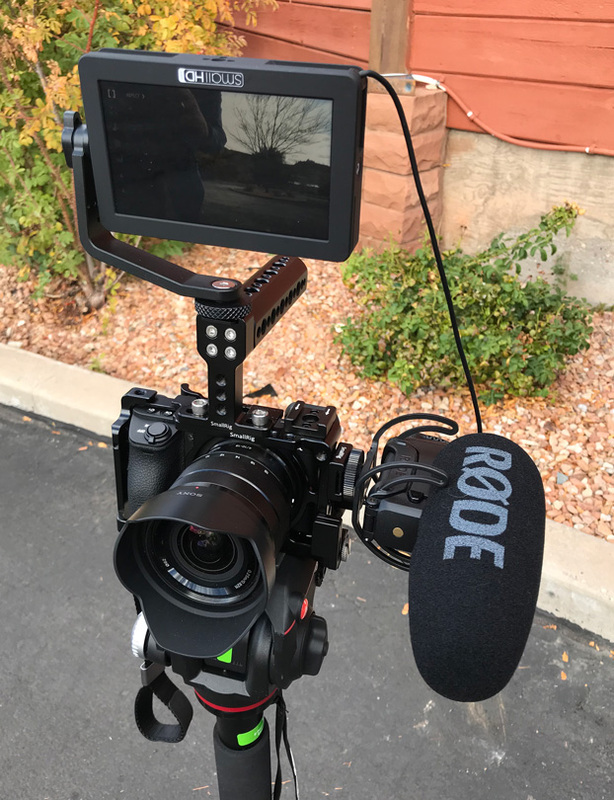 Now if they would add a headphone jack in addition to the microphone jack, they will have a sweet APS-C camera with excellent shooting speed. A lot of the AF features we have seen recently will show up on the a6700. It will retain the 24mp sensor, but hopefully be an improved version for better 4K shooting with high frame rates as well as low light shooting. In the end, Sony will try to match this camera up to be their version of the Panasonic GH5. I have the a6500, and I have it all rigged out for video. It’s a reliable and capable camera. Except for the battery performance. I also predict that we will see two more cameras from Sony this year. First, I think that Sony will answer the need for the A7s II replacement. The question is whether it will carry the a9 or a7 title. This will be the next step to offering a low light camera with all the new features we have seen recently. Expect to see the same layout as the a9 or a7 but with enhanced video capabilities. Now, I am going out on a limb, but I think the big news will be an even higher MP camera than the a7r III. 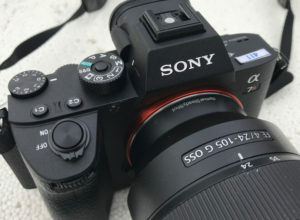 With the Sony roadmap already announced for 100 and 150 MP sensors that we will see in larger format cameras, one can deduce that with the same pixel density on those chips it could be possible for Sony to introduce a 60-70mp sensor for full frame cameras and “A” series cameras. An introduction like this could be an amazing camera. One other thing that makes this more probable is the G-Master glass. Sony wouldn’t be making such great glass capable of handling 100mp sensors if they didn’t have plans to introduce a higher MP sensor in their cameras. The way I see it, the lens is in place, now where’s the camera? I would also expect that the camera with this larger MP sensor will be in the a9 style body. There’s no reason to rush this camera out as the present camera line is selling very well. If Sony releases a camera like this I wouldn’t expect it until Photokina time or later. Here’s to hoping. This will also be a year where Sony will introduce lenses, and most of them will be designed for pros, especially long lens glass for sports and wildlife photographers. As usual, Sony will keep up their momentum, and they will set the bar higher for the mirrorless marketplace. Expect to see a 400mm G-Master this year and maybe we will get surprised with a 200-600mm lens. Of course, both of these lenses may be somewhat pricey but if they are anything like the last few lenses released they should be great quality. What amazes me is how quiet Canon has been. Over a year ago, I was told by a well placed Canon employee that 2017 was going to be the year that Canon dominated the market and would introduce mirrorless. Hmmm, we saw some small mirrorless but no earth-shattering releases. Canon did release the Canon M5, but this was not widely accepted especially when compared to other camera makers. There were a few other smaller cameras with built-in lenses that were used widely by the blogging crowd, but still, no mirrorless camera to compete with the likes of the Sony a9 or a7r III. There aren’t even any good rumors for a FF mirrorless from Canon. And, if they did release one would it be able to use the present line of lenses? I would have liked to be a fly on the wall in the Canon boardroom when they saw the attention, not to mention the specs, that the Sony was receiving. The web had story upon story about pros moving over to the Sony mirrorless cameras. 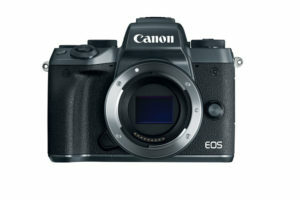 One has to wonder why it is taking so long for Canon to break into the mirrorless market. Indeed, it is not a matter of if as much as when. Will 2018 be the year? Seeing how we saw no significant news from Canon last year, one has to wonder if they are working hard on the market buster. Something so big and so feature packed that it will turn the camera world upside down. Will it work with their existing glass? Ladies and gentlemen, that will be the big question. I believe that this will be Canon’s year, and they will surprise us all. They will have to introduce two cameras. One around 24mm and another at 40-50mp to play in the market. They are a capable company, but will they (and can they) pull it off? Nikon had a pretty good 2017. I’d have been worried if they had not released the D850. Frankly, it saved their year. At least mega-pixel wise it gave them a reliable camera with some great specs. If you wanted to stay in the DSLR field, then the D850 was the camera to have. There is no question that Nikon has excellent glass. 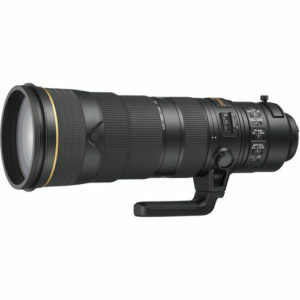 Just a few weeks ago Nikon announced the very pricey Nikon AF-S NIKKOR 180-400mm f/4E TC1.4 FL ED VR Lens. This lens will compete directly with the Canon 200-400mm lens that is similarly priced. It also gives Sony a target they need to shoot for. 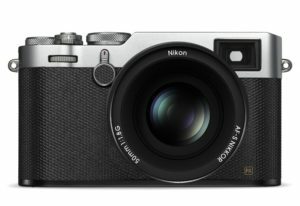 Rumors abound and have been somewhat confirmed that Nikon will release a mirrorless camera this year. Word has it that it will be a new “Z” mount and be able to use other camera makers lenses with adapters. The issue with adapters is AF speed. Performance compared to native mounts is not the same. Of course, a lot is determined by performance, and I hope that Nikon can pull it off. So, expect to see a mirrorless Nikon with a new lens mount and new lenses as well as an adapter sometime this year. I’d predict two sensor sizes at 24mm and 40 plus mp. The question is when will we see this camera? This is a Photokina year so I predict that this camera will show up in the second or third quarter and could be the camera of the show at Photokina. I should make it clear I am a complete mirrorless shooter. I own the Sony a 7r ii, a7r iii, a7r, a6500, RX100iv, and RX0. I have all the G-master lenses plus a ton of other glass. I also own the complete Fuji line the XT-2, X-Pro 2, 100F and a ton of lenses for these cameras. I love Fuji because it is fun to shoot with and delivers impressive results. They are also constantly upgrading firmware, keeping my investment current and with new features. 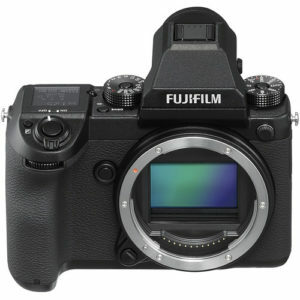 Fuji has it figured out and I’m sure we will see more improvements based on customer feedback in their future cameras. 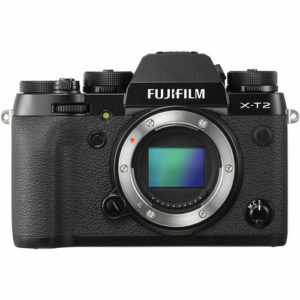 This will be the year we will see the next generation Fuji XT camera. Expect Fuji to up the MP on the sensor and put a new or possibly even a dual processor in the camera and offer IBIS. This will be big, as many of the Fuji lenses are not stabilized. I am hoping too that the new XT camera has some improved ergonomics. As they have done in the past I would expect that we may see a whole new look for the top of the camera. While I am also guessing we may see a higher MP sensor in the XT3, it is possible that we may be surprised that the sensor goes to 28-30MP. I think that Fuji will also up the video capability on these cameras. I speak with Fuji management a few times a year, and they listen and take good notes. They certainly know what they need to do to stay a leader in this field, and typically they bring products out that show they listen to their customers. It would also be nice to see some longer glass and a wider angle lens. We should also see a 200mm f/2 lens later this year. Just a note that the 100-400mm lens is one of my favorite lenses. It is sharp and performs well and lets me have an approximately 600mm lens equivalent that I can handhold. Go Fuji, I think this will be a big year for Fuji. Fuji does it right. They deliver a clear roadmap of lenses and have delivered on most of these lenses on time. As a photographer, you can buy a Fuji and know that one there are lenses coming and two (most of all) know that you can count on firmware upgrades to increase the camera’s capabilities. Fuji has proven this time and time again. I’ve always said if Olympus would make a full frame camera it would be one of the best-made full frame cameras available. Olympus has done a super job of introducing a great camera line up and supporting it with a wide range of some excellent Pro lenses. Their introduction of the 45mm f/1.2, 17mm f/1.2, and the 25mm f/1.2 lenses, as well as their pro zooms, have made a wide range of options for photographers looking for a small, lightweight camera that delivers exceptional results. 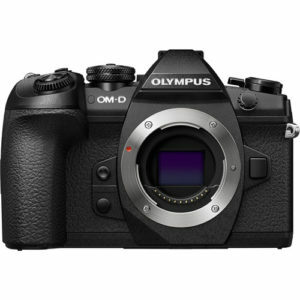 Their Olympus OM-D E-M1 Mark II Mirrorless Micro Four Thirds Digital Camera is such a capable camera. It can take a beating weather wise and has fast AF, IBIS and a ton of other features. If I was a photographer looking at making prints no larger than 17×22 and wanting a lightweight system to travel with, there is no question this would be the camera. From what I understand from my friends at camera stores and elsewhere, this is a system that continually sells well to the enthusiast market. The problem with micro 4/3 sensors is there’s a limit to how many pixels you can jam onto such a small chip. Also, it’s kind of hard to see where Olympus can go with the line especially when they have a near perfect camera now. So, it may be a quiet year for Olympus. I still own an Olympus system with a few bodies and a number of their great Pro-line of lenses. However, I find that I am not picking it up much these days. This is most likely because I have other options and not because of the camera and lenses itself. 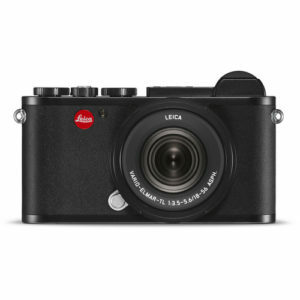 I am not sure what to expect from Leica this year. There will be new lenses for the SL camera as already announced. I am hoping that Leica upgrades the SL with a larger sensor and also does the same for the S. As far as APS-C goes, I think we may see an additional lens or two but with the Leica TL and CL announced last year this line now just needs to gain traction. The Leica M10 is doing well sales-wise, and while they are in a state of constant backorder, I don’t expect to see changes here. For now, Leica needs a year to concentrate on sales on their broad cameras offerings. Last but not least is Panasonic. The GH5 is a favorite camera for video. This is the camera we use more than any of our cameras. 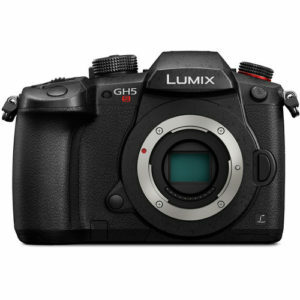 Panasonic just announced the GH5s which is most notable for low light capability and will be going up against the full frame Sony a7s II. I don’t expect anything else new from them this year. Who would have ever thought we would see such activity as the last year has seen in a market that many had called dead. To me this is exciting and also says something about the camera business. 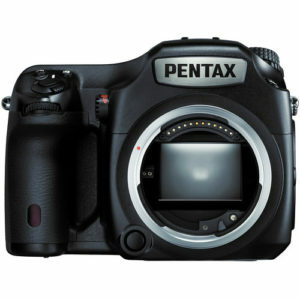 First, let’s start with Pentax. Where are you Pentax? You were at the top of the hill and now where are you? We haven’t heard a peep out of you. Are you going to fade into the sunset slowly? Frankly, I think Pentax has just given up. It’s too bad but Pentax has to answer to higher sources in their corporation, and most likely, upper management (Rioch) just didn’t think that investment into the medium format camera was worthwhile. This may be the year that Pentax just goes away. If they are going to stay alive, we need to see a whole new Gen 2 type of camera with faster processors and new chip technology. Let’s see if they will be present at Photokina this fall. Meanwhile, Phase One just keeps marching forward. Phase One is misunderstood by a lot of photographers, pros, and others, but all along they have never reacted to price and have continuously produced exceptional products. They are a niche company, and they know it, and they focus on it. Phase One is not worried about what Hasselblad and Fuji are doing. They stay focused on making the best camera for the pro market as well as the Heritage and aerial business. 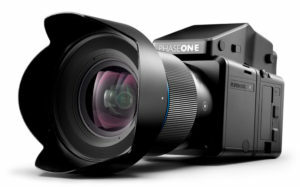 Frankly, Phase One has set the bar high for other camera companies when it comes to design and innovation in a camera. I think we will see a 150 MP back this year from Phase One. Yes, it will be expensive, or it may be priced where the 100MP backs are now pushing down the prices of 100 MP backs a bit. There is no question that if you have the dollars, the Phase One system – even today at 100MP – will give you a file, unlike anything you have worked with before. The new Trichromatic and Achromatic backs are selling well from what I have been told. Phase One will keep marching forward and doing well, but they know that the Fuji GFX50s and Hasselblad X1D are biting at their heels. At one point I thought we were going to see a mirrorless offering from Phase One based on the old Mamiya 7 retro design. I think that Phase One thought otherwise and went back to the drawing board knowing that that type of camera wouldn’t be able to compete with the X1D and GFX50s. 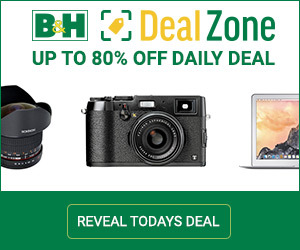 Sadly, I think we may have to wait a while longer for a Phase One mirrorless camera. They certainly won’t deliver a half-assed camera. When they do announce a new camera, you can bet it will have a ton of features like the Phase One FX does in a small size. Question: Will they have to redesign their lens line up? Most likely yes, as the heavy lenses they presently have defeated the purpose of a lightweight camera. The medium format segment will be where we will see a lot of action in the next few years. Hasselblad seems to be doing well. In a recent article in DPReview, they talk about a small company with a lot fewer employees than one expects for all the products they are producing. In the last year, the CEO and US President have left the company, and to my knowledge, only an interim CEO and President are in place. DJI still hasn’t come out and publicly stated that they own Hasselblad, but there doesn’t seem to be anyone questioning that. The X1D had its fair share of problems when it was introduced, but with some firmware updates over the last year, it seems to have overcome many of them and has become more accepted by photographers. I do hope to do a new review with this camera in the coming months. We should see a few new lenses this year from Hasselblad for the X1D. 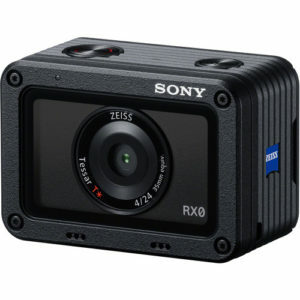 Also, depending on how soon the larger sensors from Sony are released, we could see an X1D 100 mp camera. If Hasselblad can keep the price reasonable, they may see success with this camera. I wouldn’t expect a larger sensor camera until the second half of this year if then though. What about the H Series line up? They have already dropped prices on some of their older H-model backs. The H camera is an old platform at this point, and in my interview with the now ex-president of Hasselblad US, he cleverly hinted that there might be something new and different. So, I will go out on a limb and predict a new H type camera. It may even be mirrorless yet be able to use the present H lenses and backs and offer a lot more capability and versatility in handling. Like Sony, I wouldn’t be surprised to see them incorporate multi-shot technology in their cameras, but up the game, a bit to 6 or more shot multishot. This is really nothing new in the MF world but with the new larger MP backs it would make for one large file. Remeber though when you get to this size MP back the camera will need to be super secure and stable. This will also limit the practical use of a back with multi-shot to the studio and industrial markets. Still very interesting concept. 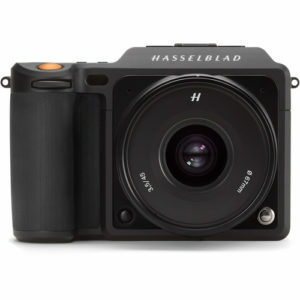 Hasselblad has put itself in an exciting position. 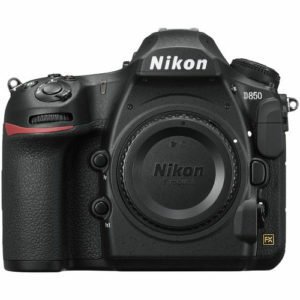 Pricing cameras are very tricky especially when you lower camera prices as they have recently done. The big question is whether you can sell enough cameras at the lower price to make the same profit as you do at the higher price. And, if they do sell, can they produce them? My feeling is that Hasselblad should focus on the X1D since that is where the interest is and expand the lens line and feature set on it. Let’s hope they can keep up their momentum. New on the scene of medium format is Fuji with the GFX50s. This camera seems to have been received well and already has a nice line up of lenses and firmware updates. I enjoyed shooting with the Fuji. Being a user of their APS system, I love a lot of their design philosophy. The GFX50s seemed to inherit a lot of that. The only thing that kept me from investing in the GFX or X1D for that matter is that I am already shooting with a 42 mp Sony a7r III, and it’s not a notable enough difference for me to switch. I think we will see a GFX-2 this year. That will change a lot of things. If the price is right and image quality is exceptional, as I would expect it to be, then they may have a winner and all the holdouts for this size format will be jumping on board, including me. Speaking of Fuji, I use Capture One to process my Fuji files, and I love how Capture One handles these files. Capture one has gotten to be the go-to RAW processor for me and a whole lot of Fuji users. I have heard through numerous emails and discussions that the users of C1 who have purchased GFX are disappointed that Phase One and Capture One won’t support that platform. This has driven these converts right back to Adobe LR. Phase One has had a policy for a while that they don’t support medium format cameras. At one point I could see that, but times have changed. Capture One is now an entity of its own and getting a great reputation for a RAW processor as an alternative to LR. A good business solution would be to capture that market and not drive users back to LR. GFX owners are not necessarily Phase One camera type of customers. Let’s hope that changes this year. Of course, there are rumors that Sony may get into the medium format market. Although, I don’t think so, not while they have so much activity with their FF sensor market. They need to have a lot of things in place before medium format can be part of their offerings. Sony needs to keep their eyes on the target, deliver long glass, improve customer service and pro repairs. Based on my talks with them I do believe they know exactly what they need to do, and as Sony shows with each new release, they are listening. This will be the year of AI – Artificial Intelligence. Lately, we have been seeing some post-processing software that is getting easier to use and faster. A lot of the offerings are beginning to offer automatic image correction. A good example of what the possibilities are is Photolemur. This program looks at your image and corrects it in one shot. The only slider is one that is called boost. Frankly, I was pretty amazed at how good this little app does. It’s available for MAC & Windows for $29.00. You’ll see capabilities like Photolemur in other programs like Lightroom and Photoshop soon. Adobe has hinted that they are working on their versions of AI for Photoshop. They are going to build routines based on thousands of examples of corrections to different images and be able to automatically correct images based on how others have done it in the past for similar images. For me, getting good masks is one of the hardest tasks in Photoshop. Imagine a tool so smart that masking is intelligent. There are some other applications that have come a long way in the last few years and allow a photographer to make some incredible images without ever touching Photoshop. OneOne, Affinity, and Topaz are just a few that offer some cool capabilities. And, let’s not forget our old friends NIK software. This useful set of tools was recently acquired by DXO and over the coming months will be making a comeback even stronger than before. I have seen some early demos, and I am impressed and very anxious to have this toolset available again. The UI of the U-Point technology is well designed and incorporated. Photoshop also has some competition from the likes of Affinity and Pixelmator. These programs go a long way to prove that there is another way to invent the wheel. I have been impressed by each of these programs, and how easy and more intuitive they are to use. As usual, it’s fun to be a photographer. We all love our cameras and photo gadgets. Sometimes we might get a bit too obsessed with all of it. A camera is a tool. It helps you make good images. Some people get all caught up in brands and which one is best. In all my years, I have never had someone that bought an image of mine ask what camera I used to make it. I hold no prejudice to anyone with certain brands of cameras. You should be working with a camera that will allow you to achieve your vision and not get in your way. Most of us will never need all the aspects of the incredible feature sets that are being offered. For landscape photographers, we are concerned with dynamic range and ISO performance. A portrait photographer will appreciate the ability to do continuous focus on an eye and keep it sharp no matter what. Sports and news photographers are going to be looking for long lenses and fast frame rates. Wedding photographers are going to look at silent shooting that won’t call attention to them. And all of the above may find it convenient to take some great video now and then. For me, I moved over to the mirrorless cameras a few years ago. It’s where I saw the future. It’s where the innovation was taking place, and I am all for innovation. Plus using these cameras is fun, and for me, photography should be fun. Remember all this gear talk is great but in the end, it’s all about going out and taking a photo. So, put it on your calendar and get out there and have some fun.